Projects are guided by the latest science and build on the success of previous trials. 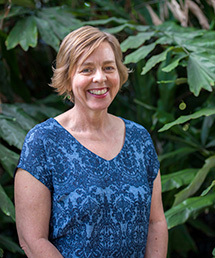 For example, the Queensland Government’s highly successful Burdekin Nutrient Management Planning project is being expanded into the Mackay Whitsunday, Wet Tropics and Burnett Mary regions. 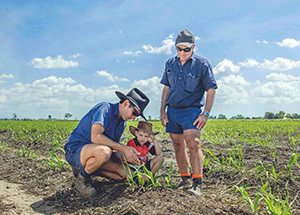 Supported by more than $7 million from the Australian and Queensland governments, the project funds locally trusted and highly skilled agronomists and farmer champions to help sugarcane growers improve their fertiliser use efficiency. Through this project, sugarcane farmers John and Charles Quagliata have reduced their fertiliser use with no effect on yield which saves them money and helps the Reef. 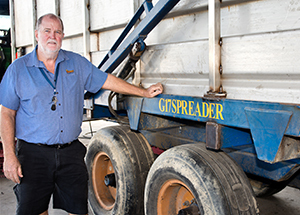 “This (nutrient management) plan that we’re under, I reckon it’s a great way and the more people that take it on board the better it’s going to be,” John said. “Our main aim is to get the plant to use exactly what it needs… Putting the right rate on, better in our pocket, better for the Reef, better for everything,” Charles said. Learn how farmers such as the Qualiatas are reducing fertiliser run-off. The ground-breaking Project Catalyst grower innovation project, which trials and validates new farm management practices, is being revamped with more than $3 million through the Reef Trust. Working with Catchment Solutions, more than 300 sugarcane growers from Sarina to Mossman are learning how to improve their nutrient and chemical management. 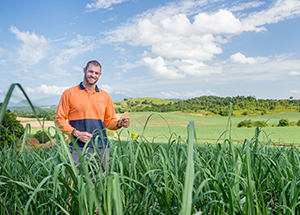 Mossman sugarcane grower Glen Fasano has been trialling a range of fertilisers through Project Catalyst to reduce nitrogen loss. Read more about the enhanced efficiency fertiliser trials and product comparison project. South Johnstone cane farmer Adrian Darveniza is actively spreading the word about improved farming practices. The flexibility of Reef Trust Reverse Tender grants, delivered through Terrain NRM, allowed him to choose the specific activities (zero tillage planting and use of mill mud) that would reduce his nitrogen inputs while maintaining crop yield. “I am happy to be a part of these projects where growers can share knowledge – there is so much we can learn from each other,” Adrian said. Warrami sugarcane farmer Les Blennerhasset used Reef Trust Reverse Tender funding to purchase a stool splitter so he could apply fertiliser sub-surface, lowering the risk of fertiliser being washed away by heavy rain. He saved money by applying less fertiliser per hectare and the property returned the same yield of cane. 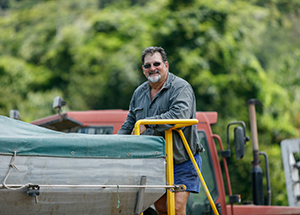 Learn more about how farmers such as Adrian and Les are reducing nitrogen run-off through a series of Reef Trust case studies. Graziers can access a whole-of-business health check and ongoing coaching through Reef Trust’s $2.9 million Project Pioneer delivered by Resource Consulting Services. They are supported to improve the efficiency and profitability of their beef production and grazing land condition, which results in minimal loss of valuable top soil to the Reef. More on-ground changes are being delivered through the $33 million major integrated projects funded by the Queensland Government. These first of a kind projects are designed by the local community to provide a localised approach to delivering sustainable land management that improves water quality. Terrain NRM is coordinating the Wet Tropics project and NQ Dry Tropics is coordinating the Burdekin Landholders Driving Change project. They are concentrating effort in pollutant ‘hot spots’ and piloting a mix of actions including water treatment systems, farmer support, incentives, landscape remediation, local scale monitoring, and innovative funding and investment opportunities. Learn more about the Major Integrated Project in the Preserve the Wonder - Improving farming practices video. 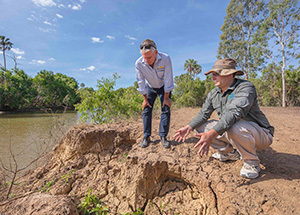 Learn how graziers and scientists are working together to reduce sediment run-off.